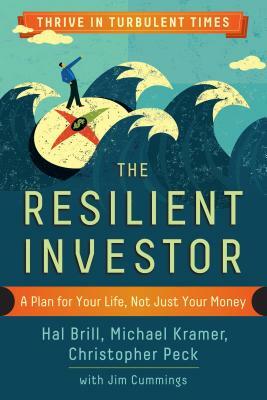 If you want to build a better life and a better world—and really be prepared for any possible future in these turbulent times—you need to become a resilient investor! This trailblazing guide will expand your ideas of investing way beyond Wall Street. Your time, your energy, and the things you own are investments too, and you’ll learn to diversify them in ways that move you toward your life goals. The Resilient Investment Map lays out all your assets—personal and physical as well as financial—and then provides three essential, timely strategies (Close to Home, Sustainable Global Economy, and Evolutionary Investing) that will help you grow each of them. The goal is to become more resilient: able to anticipate disturbance, rebuild as necessary, and improve when possible. You’ll discover that the choices making you more resilient also enhance our communities, our economy, and the planet—building real wealth for all. Hal Brill is the co‐author of Investing With Your Values: Making Money and Making a Difference (Bloomberg, 1999; New Society 2000) and co‐founder of Natural Investments. He lives in a sustainable neighborhood that he developed on the edge of Paonia, Colorado. He is on the board of Solar Energy International, which provides technical training in renewable energy, and is business manager of an organic hops farm. Michael Kramer is Director of Social Research at Natural Investments. He serves on the national policy committee of USSIF: The Forum for Sustainable and Responsible Investing. He publishes a Sustainable Shareholder column at GreenBiz.com, and is a strong advocate of innovative financial instruments and corporate and regulatory reform. He lives in Kailua-°©‐ Kona, Hawaii. Christopher Peck lives in Sonoma County, California, on a developing homestead within biking distance of a lovely downtown. He’s a long-°©‐term sustainability entrepreneur and holistic financial planner. He’s taught sustainable finance for many years, including in a green MBA program, and a popular course on business planning. He has a black belt in Aikido, and has been studying Zen Buddhism for more than twenty years. “Brings to investment what the periodic table brought to chemistry—clarity, order, and understanding. Thousands of books have been written about how to live well, shop smart, or save wisely, but this is the first to show, step by step, how to optimize for all three and how to harmonize our choices with our dreams.